Scouts had begun frequenting his games and Willie Ansley's high school coach Fred Oliver spoke with the young sports talent, to make sure he stayed calm under the added pressure, the coach told The Associated Press in 1988. "I pulled him aside and said, 'Willie, they're not out here to see you get a hit every time at bat," Oliver told The AP. "They know you'll make errors - major league errors. They want to see what their money's going to buy." It was eventually the Astros money that bought Ansley, the team selecting him in the first round, seventh pick overall in the 1988 draft. But, before he signed, Ansley had to choose between the professional baseball ranks of the Astros and the college football ranks of the Oklahoma Sooners. He ultimately chose the baseball ranks. But he never would join the major league ranks, getting only as high as AAA before his career ended. 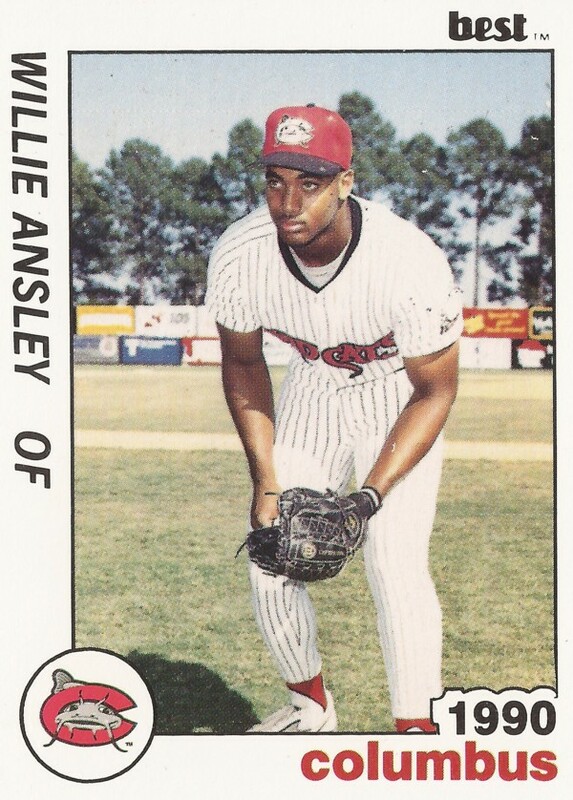 Ansley played his first professional year in 1989, starting at single-A Asheville and ending at AA Columbus. Between the two, he hit .295, with six home runs and 59 stolen bases. He hit one of his home runs in a June Asheville win. That October, Ansley continued playing in the fall instructional league. And he looked ahead where he hoped he'd end up. "I haven't set any timetables. If it happens, it happens,'' Ansley told The Orlando Sentinel. "If it doesn't, I won't lose any sleep over it. I know I have the ability. If I keep a positive attitude I will get there in time." For 1990, Ansley returned to AA Columbus, hitting .255 with nine home runs. One of his home runs came in a late July Columbus win. He also stole another 33 bases and won Minor League Player of the Week honors in late June. Ansley returned to AA in 1991, at Jackson, hitting just .232 and stealing nine bases. In 1992, he played only 45 games, between AA Jackson and rookie league. 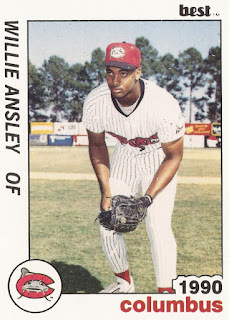 It was in 1993 that Ansley got the highest he would get, playing the year at AAA Tucson. He hit .262 with five home runs and 22 stolen bases. Ansley's final year as a player came in 1995, playing 40 games between three independent league teams. In 2006, Ansley was back home in Plainview, Texas, working for a pharmaceutical company, according to The Lubbock Avalanche-Journal. He was also working with high school and college players as a hitting instructor, something he enjoyed. "When you don't make it, it makes you more passionate about getting other kids to places you didn't get to, and helping them fulfill that lifelong dream," Ansley told The Avalanche-Journal. "I love working with kids." Lubbock Avalanche-Journal, Sept. 17, 2006: Do You Remember Willie Ansley?